During the hours before dusk, you’ll often notice a mix of cars using their headlights while others keep them off. When in doubt, turn on your lights. Even if you don’t absolutely need them at this time, it will help other drivers spot you, especially if the sun is setting behind you and obscuring the view of oncoming traffic. In some states like California, it is legally required to have headlights on from one-half hour before sunset to one-half hour after sunrise. There’s a reason why your dashboard has a dimmer on it. Driving around with your dash lights on max can compromise your vision, so turn them down to a comfortable level. In general, your map light should be kept totally off while driving, although luxury cars often come equipped with focused reading lights that do not cause glare. A windshield that appears clean during the day may reveal itself to be foggy at night. Keep a cotton or microfiber cloth in your door pocket for quick touch-ups to ensure full visibility. The same goes for your side view mirrors, as dirty mirrors can cause more glare from car lights behind you. You can also aim these mirrors down slightly to prevent high beams from temporarily blinding your vision. 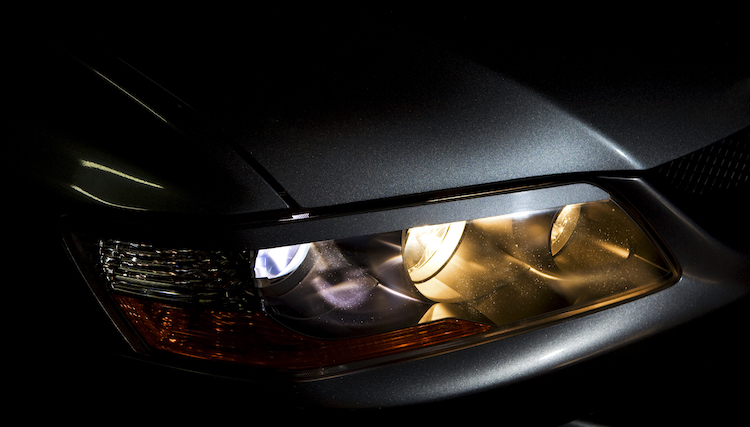 It’s also important to keep your headlights clean so their brightness and clarity remain high. If a headlight burns out, replace it as soon as possible, as it’s often illegal to drive without proper working headlights. Visibility is much lower at night, even on well-lit roads. This means it takes longer to see and react to hazards, like pedestrians, cyclists or even animals in more rural areas. Drive slower and give yourself plenty of time to react to any problems, and never “out-drive” your headlights (driving so fast that you can’t stop within the distance illuminated in front of you). Eye fatigue is much more common at night, and you might feel yourself dozing off after a long day at the office. To stay focused, try to keep your eyes moving and constantly scanning the road. Avoid solely focusing on the dividing line in the middle of the road, which can have a “hypnotizing” effect. With these tips in mind, you’ll be prepared for the long winter (and shorter days) ahead of us. You can also avoid driving at night by taking public transit, so if you find yourself driving less in the winter months, check out Metromile’s pay-per-mile insurance to save some money.